LightHaus Events is a creative prop hire company based in the South West. Our catalogue of stylish props is always evolving and perfect for brides and grooms who are looking for something unique on their wedding day. Based in Bristol we are also happy to deliver to your event in and around the South West. Check out our Facebook and Instagram pages for our latest wedding products for hire and special offers. 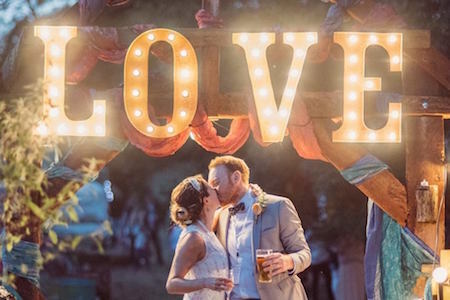 Our wedding prop hire collection includes our popular LOVE and MR & MRS lights. We LOVE getting to know our clients and it is always such a privilege to play a small part in their big day. Please have a look around and get in touch if you have any questions. 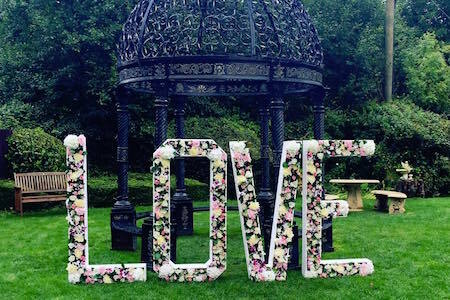 We now have new and updated 5ft Floral LOVE letters for hire and a whole host of other inspiring wedding and event props and accessories. Whether you are having a vintage, rustic, boho or luxe wedding or event, our props are designed suit all these themes. 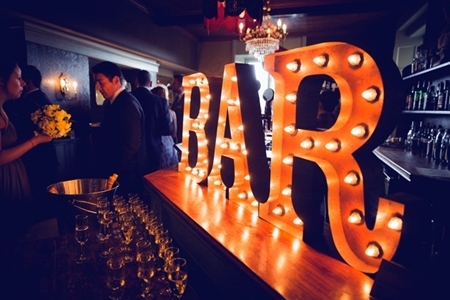 Our other props include a light up BAR sign, Aunt Sally boards, light up table numbers and a vintage bike. We are very proud of the fact that all our props are either made in-house by our talented artists or carpenter, or selected from a handful of lovely companies who we like very much!